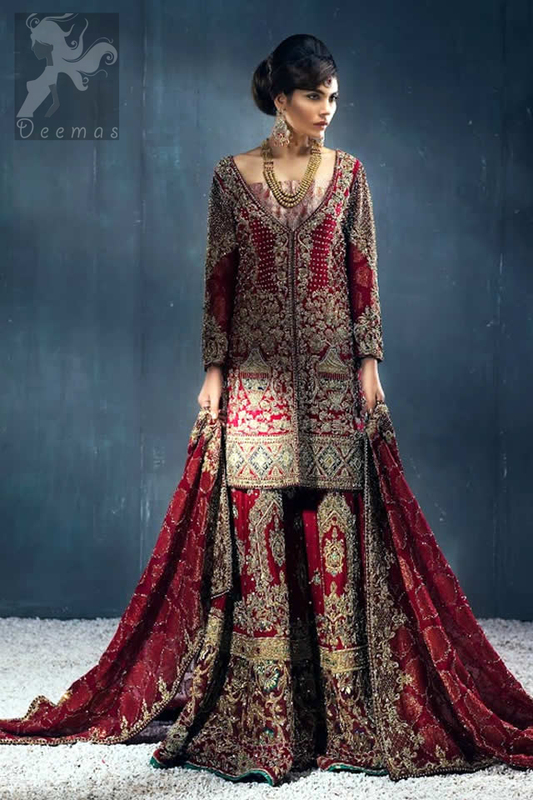 Tags: Deep Red, Front Open, Gown, Reception & First Day, Sharara. 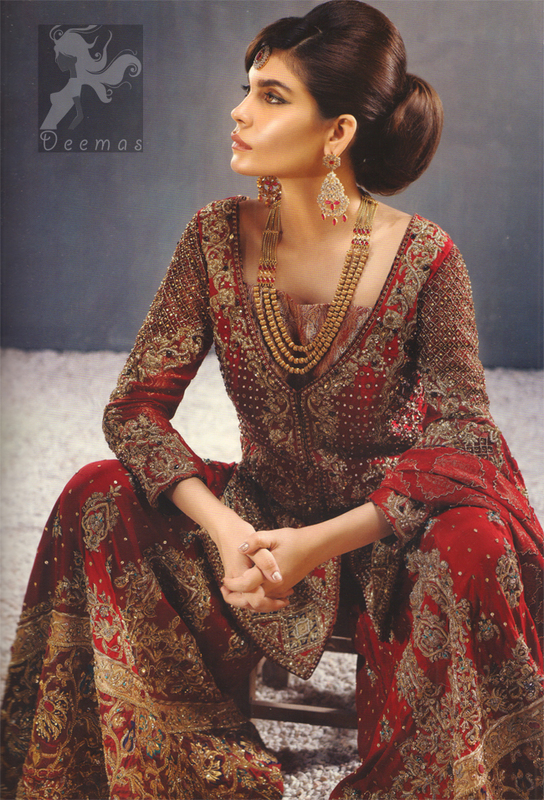 Deep red pure chiffon front open shirt and sharara with embroidered banarsi dupatta. Shirt features stunning embellishment all over the front. Matching banarsi chiffon dupatta contains large border on front side edge and comparatively lighter work border on rest of the three edges. Crystal stones crafted all-over the dupatta.